"Carry this century's most notable scientific minds in your pocket. 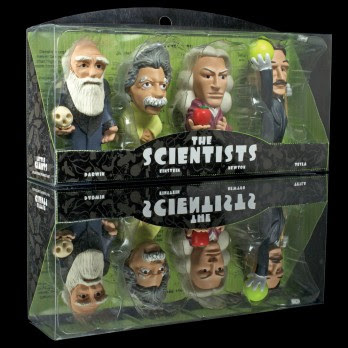 These miniature scientist action figures are colorful caricatures, and the perfect gift for any scientific fan. 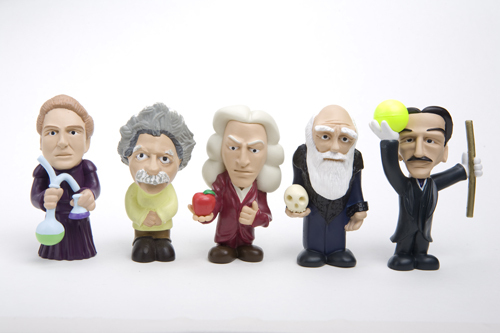 Fun for play and display, the set includes Darwin, Newton, Einstein, and Tesla. Size of each: 3" tall." 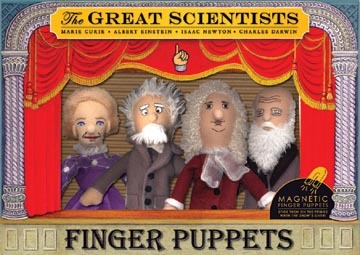 You can get your own The Scientists action figures over at Edmund Scientifics. Or you can head over to Shakespeare's Den and get a set that includes Marie Curie.